For the first time in the nation’s history, four generations are working side by side in the workplace. 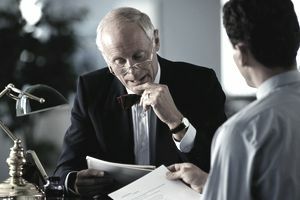 As attorneys, paralegals, and other legal professionals work beyond retirement age, many law firms and legal departments are trying to manage a generation gap of more than 50 years among their oldest and youngest employees. The diverse perspectives, motivations, attitudes, and needs of these four generations have changed the dynamics of the legal setting. A little insight into the differences among the generations can help explain the needs and expectations of an age-diverse workforce. By learning the motivations and generational footprint of each segment, individuals can leverage their own talents and capitalize on the diversity of their legal teams. Born between 1927 and 1945, Traditionalists (also known as the Silent Generation) are in their 70s and 80s. Approximately 95 percent of Traditionalists are retired from the workforce. Those who are not retired are at or near retirement age, and many are working reduced hours. Many Traditionalists in the legal workplace are aging partners, managers, and “of counsel” to law firms. On the job, Traditionalists are hardworking and loyal. Raised during the Depression, Traditionalists cherish their jobs. Many Traditionalists have worked for only one employer their entire work life. Traditionalists are team players and get along well with others in the workplace. Traditionalists differ from younger generations in how they process and respond to information. They are less tech-savvy than younger generations and prefer in-person interaction rather than e-mails and technological gadgets. Therefore, the best way to engage this generation is in person. Unlike younger generations, Traditionalists are comfortable sitting in long lectures and meetings and are less inclined to incorporate video-conferencing and web-based technology into the workplace. Born between 1946 and 1964, the Baby Boomer is predominately in their late 50s and 60s. They are well-established in their careers and hold positions of power and authority. This generational segment constitutes a large majority of today’s law firm leaders, corporate executives, senior paralegals, and legal managers. In fact, nearly 60 percent of law firm partners are Baby Boomers. Members of the post-World War II generation, Baby Boomers are loyal, work-centric and cynical. This generation has lived through many changes in the legal industry and bring a different perspective to the workplace. Baby Boomers often equate salaries, high billables, and long hours with success and commitment to the workplace. They value face time in the office and may not welcome work flexibility or work/life balance trends. High levels of responsibility, perks, praise, and challenges motivate this generation. Generation X encompasses the 44 to 50 million Americans born between 1965 and 1980. This generation marks a period of a declining birth rate after the baby boom and is significantly smaller than the previous and succeeding generations. Members of Generation X are largely in their 40s and early 50s and hold junior partner, senior associate, mid-level paralegal and mid-level support staff positions in law firms as well as middle-management positions in corporate legal departments. After witnessing the burnout or layoff of their hardworking parents, Generation X entered the workplace with a different work ethic and culture than previous generations. Unlike the Boomers, Generation X places a premium on family time and has a different attitude toward work. They are ambitious and hardworking but value work/life balance. In the legal workplace, Generation X dislikes rigid work requirements. They value the freedom to set their own hours. Flexible work schedules and work-from-home options (as long as billable quotas are met) may help to retain and motivate this generation. Generation X has an entrepreneurial spirit. This generation thrives on diversity, challenge, responsibility, and creative input. If their current law firm does not provide them with these opportunities, they will not hesitate to seek an employer who will. A hands-off attitude often works best when supervising, mentoring, or working with this generation. Members of Generation X value freedom and autonomy to achieve desired goals and often prefer to work alone rather than in teams. They dislike “meetings about meetings” and don’t want face time. Flexible hours and challenging assignments will motivate this generation. Generation Y legal professionals are in their 20s and 30s. With numbers estimated as high as 70 million, Generation Y (also known as the Millennials) is the fastest growing segment of today’s workforce. As law firms compete for available talent, employers cannot ignore the needs, desires, and attitudes of this vast generation. This new generation holds entry-level associate, paralegal, law clerk, and legal support positions in law firms, corporate legal departments, the government, and other practice environments. Generation Y is smart, creative, optimistic, achievement-oriented, and tech-savvy. This young generation seeks out creative challenges, personal growth, and meaningful careers. They seek supervisors and mentors who are highly engaged in their professional development. Generation Y are excellent multi-taskers and prefer communications through e-mail and text messaging over face-to-face interaction. This generation would rather send an e-mail so they can be drafting a brief, research a case, and answering e-mail at the same time. Cyber training and lectures through web-based delivery systems may be more effective than traditional lectures. The legal industry is notorious for imposing long hours and billable hour quotas. As Generation Y demands work/life balance in the law firm, employers will need to accommodate them by creating a culture of flexibility. Mobile technology tools will help Generation Y work remotely and remain connected 24/7. When working with or supervising Generation Y, it is wise to impose structure and stability and cultivate a team-oriented environment. Immediate feedback and praise will help motivate and reassure this young generation. Frequent communication and reassurance will help keep members of Generation Y eager and involved.